With there being so many different betting terms it can be more than a little confusing trying to work out exactly what is going on. As part of our series to guides to betting jargon aimed at making betting accessible to the uninitiated, we are looking at the lucky 31 bet, and how best to place it. If you already know what a lucky 15 is, you have probably already guessed that the lucky 31 bet is similar. The idea of a lucky 31 bet is to cover yourself with a wide range if bets in order to can guarantee yourself a good return by broadening the odds on selections you are confident will come in. How do you place a lucky 31 bet? A lucky 31 consists of 31 bets, unsurprisingly. These are 31 different bets based on five different picks that brings them all together. A lucky 31 bet starts with a five-fold accumulator – placing a wager on all of five selections being successful. This naturally has the highest odds of all the bets placed as part of a lucky 31 bet. Next is be five four-folds accumulators, which cover every possible combination. The odds will still be high, but by eliminating one of the selections for each four-fold accumulator it offers the potential for a big win even if one of the picks does not come through. This is followed by placing ten trebles, ten doubles and five singles. 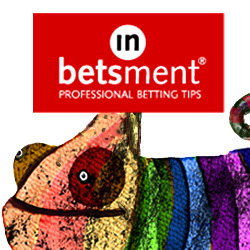 The order in which the bets are placed is not important because each of the five selections appear the same number of times across the 31 bets. What bonuses do you get with a lucky 31 bet? As with the lucky 15, bonuses are often offered by bookmakers on lucky 31 bets if you pick five winners. If only one pick that turns out to be a loser, bonuses are paid then too. As a consolation prize, bookmakers will also offer a bonus if you only selected one winner. When should you place a lucky 31 bet? The lucky 31 is particularly popular with those who follow horse racing, with punters often opting for an each way bet on all their selections, meaning that 62 bets will be placed overall. Betting each way covers any picks that normally finish in the top four, but do not often finish first. Naturally, each place lower than first has progressively lower odds. If you are pretty confident about three out of your five selections and reasonably convinced about your other two choices, a lucky 31 bet is a great way to maximise your return. If one or more selections come in on a lucky 31 bet you are guaranteed a return. Now that you know what a lucky 31 bet is and when to place one, you will be able to tailor the types of bets you may place to what you are betting on. For more simple descriptions and explanations of betting terms, stay tuned to Honest Betting Reviews and turn from overwhelmed betting novice to experienced betting know-all. What is a Lucky 63 Bet? What is a Lucky 15 Bet? What is a Super Yankee Bet? What is a Canadian Bet?